Finished size - 24" X 32"
I think everyone has had times when the power of a great friendship has lifted us up and protected us when we truly needed it, or had the opportunity to support someone else. 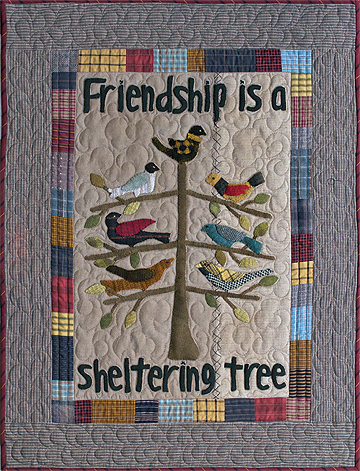 Display this bright, cheerful applique and scrappy patchwork wall hanging to celebrate your circle of supportive friends. 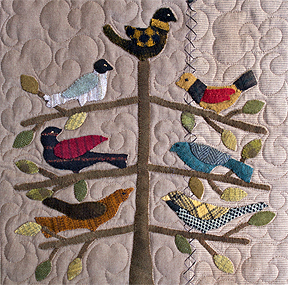 Order a printed pattern mailed to you. Shipping charges will be added.